Explore the intersection of Hip Hop and education for social justice. Explore the connection between art and social justice. * Social Justice in Early Childhood Education: Saurdays from 3:00 to 5:00. Geared toward parents, early childhood teachers, childcare workers, and anyone with a stake in the education of young children, this ItAG will focus on ways to teach 2 to 9-year olds with an orientation toward social justice. As a group, we'll collectively select topics, and our discussions will involve sharing personal experience as well as engagement with readings. 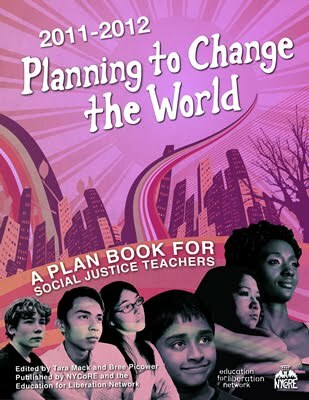 Examples of possible themes include protecting a place for imaginative play in this era of testing, development of understandings of race, gender, and sexuality, advocating for early childhood workers, working with and standing by families, practicing nonviolent communication and rethinking classroom management and discipline etc. Š how has it been practiced in various parts of the world? Although the ItAG members will decide what specifically we read (and do) and whether, for example, we'll focus on critical pedagogy (i.e., what does this look like in my/the classroom), broader theoretical questions, or what it looks like concretely in the struggles in Chicago against R2010, we'll start with reading Paulo Freire's Pedagogy of Hope, which repeats many of the themes within Pedagogy of the Oppressed, but puts them in historical context and is more accessible in many ways. Engage in a dialogue with experienced teachers about issues of social justice in education. Hear from a variety of perspectives, disciplines and grade levels.